as seen on the BBC pre-school TV series. 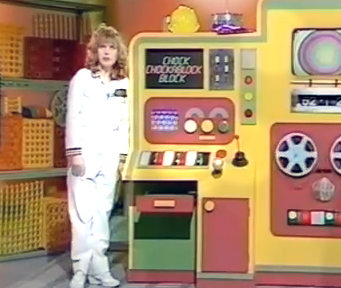 Chock-A-Block was originally broadcast in 1981 from May until August. It was presented by Fred Harris (as Chock-A-Bloke) and Carol Leader (as Chock-A-Girl) - though not at the same time. 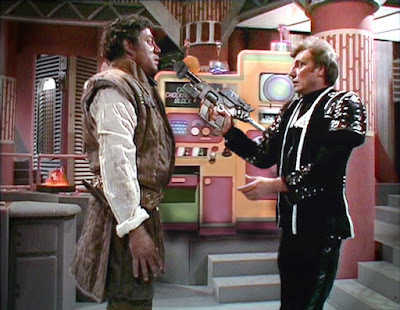 The single series was regularly re-run the lunchtime Watch With Mother slot until 1989. The main prop was a colourful computer - the Chock-A-Block of the title. 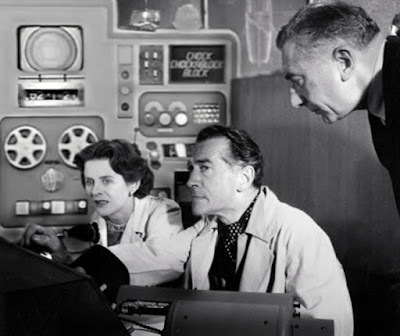 It was originally built by BBC carpenters in 1953 to dress the set of the British Rocket Group's control room in The Quatermass Experiment. It is believed to have been stored at the BBC for many years and was regularly used as set dressing on a number of BBC productions during the 50s and 60s. 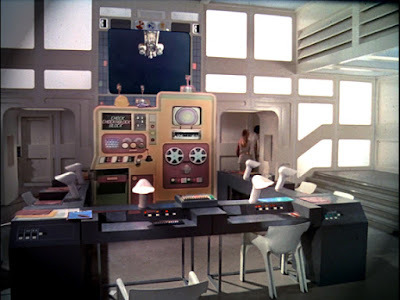 Here it is in a 1966 episode of TV's Doctor Who - the one about the evil computers who take over the Post Office Tower. 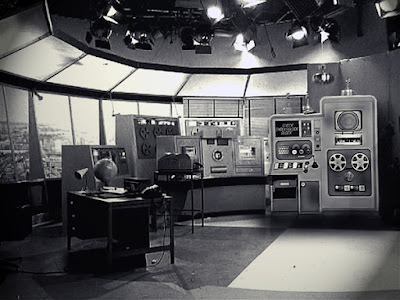 The computer was sold as part of a large selection of BBC props to a props warehouse in East London shortly after the opening of BBC Television Centre. It was hired out and appeared in a number of films following this. For the whole of 1974, it lived at Pinewood Studios as part of the set of Moonbase Alpha in the Space: 1999 series. Here it is. It can just be made out underneath the Main Mission's view screen. 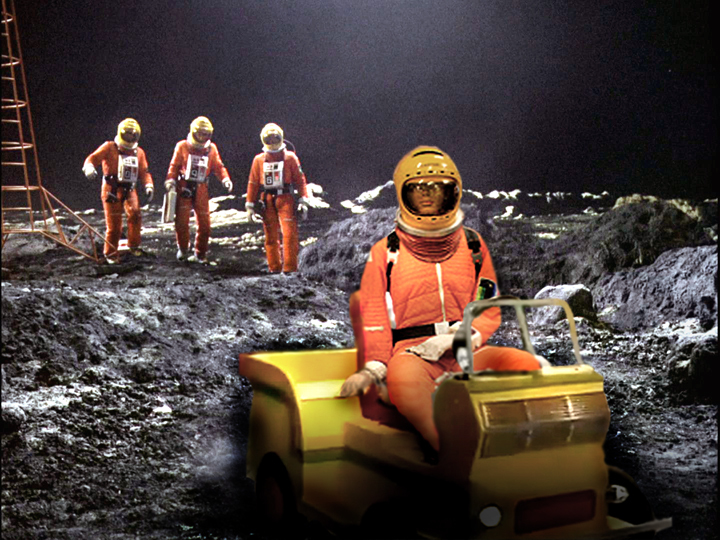 The famous space sci-fi series also marked the first appearance of the 'Choc-A-Truck' that Fred Harris and Carol Leader drove into the studio at the beginning of each 'Chock-A-Episode', though not at the same time. 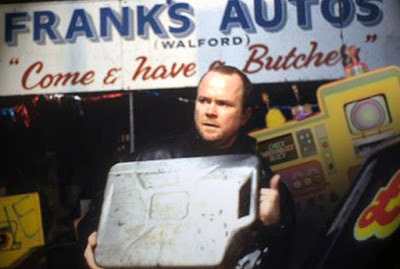 Following this, the prop appeared in several ITV and BBC productions. It had a main role as the atmospheric background to the slaughtering of Blakes's 7 in the final episode of that series. It was at this time, it was spotted by BBC Childrens Department who signed the prop up for thirteen episodes of a lunchtime pre-school series. Sadly it only ran for one series and the prop was last seen in a 1994 episode of EastEnders. It hasn't been seen since. This be a total wind-up. Funny though and had me going at the start.